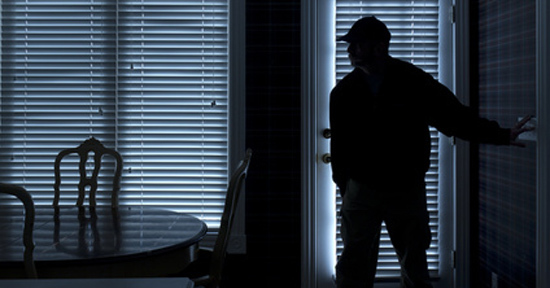 A home security system will deter would-be burglars. But with so options, finding the right one can be a challenge. Frontpoint is one of the top providers of residential security. Their wireless, easy to install system has service levels ranging from $34.99 to $49.99 per month. Plus, it comes with a 30-day risk free trial and no hidden fees. But does it make sense for you? Here's the rundown of everything you need to know about Frontpoint. Frontpoint offers a DIY or Do It Yourself home security system. But you still get the advantage of a professional security monitoring service for a monthly fee. They have 3 tiered 'plans' with different features and monthly fees. The 'Protection' plan, for example, offers basic wireless security system and security monitoring. A higher-tiered 'Interactive' plan adds features such as geo-location services, mobile notifications, and remote access to your security system. We'll discuss this further in the subsections below. Frontpoint also provides 24/7 professional monitoring service. Any triggered alarm will send a notification to the monitoring center. They then alert the local authorities, who are dispatched to your home. What is a monitoring center? Frontpoint works with Rapid Response Monitoring Services (RRMS), a professional security monitoring company. They provide alarm monitoring services for fire, burglary, medical, and other emergency signals. RRMS has been certified by safety consulting and certification company Underwriters Laboratories (UL), and is one of the best security monitoring companies in the U.S.
Is FrontPoint good enough for your house? Let's explore the pros and cons of Frontpoint security. Here's a brief list of reasons that Frontpoint stands out in the home security field. Great customer service: FrontPoint consistently ranks among the highest in customer service, an essential element of professionally monitored home security. You may need help when setting up your new system or if dealing with an equipment malfunction. Overall, customers report being very satisfied with Frontpoint's service. 100% cellular monitoring: 100% cellular monitoring means your system isn't dependent on an internet connection or landline. Which means you don't have to worry about burglars cutting your phone line. Some security companies charge extra for cellular monitoring, but Frontpoint provides it free at every tier. Customization and control: Frontpoint offers flexibility and guidance with the placement and type of wireless sensors you'll need when installing the system. Their website has an interactive tool to help you decide. Since it's a DIY system, you have total control in choosing where everything goes. Portability: If you decide to move, you won't have to leave your security system behind. Frontpoint's equipment is mobile - you can pack it up to use in your next home. All-inclusive monitoring: Some companies charge extra to monitor things like carbon monoxide levels or signs of flooding. With Frontpoint, these services are included in your security package. But keep in mind - while the monitoring is included, you still need to buy the equipment. 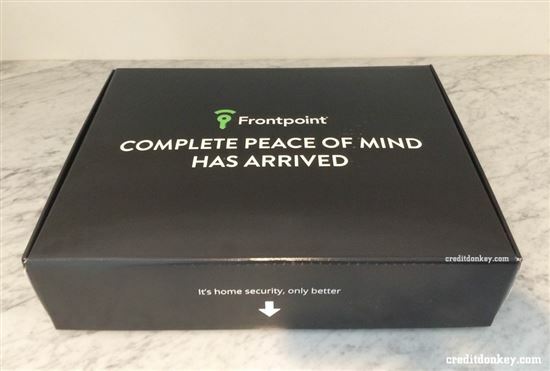 Self installation: Instead of waiting around for an unknown technician to install your security system, YOU can set up Frontpoint in just a few, easy steps. Did you know? : In 65% of household burglaries where violence occurs, the victims knew or recognized the offender. Security alerts: If you're constantly on the go, you'll appreciate receiving text or email alerts for any security-related activity at your home. Frontpoint offers this feature in its two higher tiers. Did you know? : In 2012, there were roughly 5,800 burglaries a day. That's 1 burglary every 15 seconds. Crash and smash protection: If burglars break into your home, they may try to disable your alarm system by smashing the control panel. 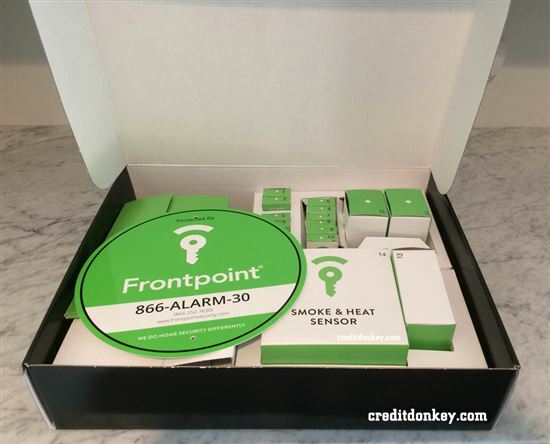 With Frontpoint, once a sensor has been tripped (for instance, the front door is forced open), the system sends a "pending alarm" to the monitoring center. If the alarm system hasn't been disarmed in a specified time (e.g., 30 seconds), then the central monitoring station knows something is wrong. Z-wave compatibility: In the highest tier plan, the Frontpoint control panels incorporate industry standard Z-wave technology. This allows you to automate certain features in your home (including lighting and door locks). Money-back guarantee: If you're not happy with your system, you can return it within the first 30 days for a full refund. Here are a few reasons to consider a different alarm company. The up-front cost: The initial equipment cost can get high. Frontpoint offers a 1-year contract or a three-year contract. To try out the system for 1 year, you'll need to purchase at least $99 worth of equipment in the lowest tier, and $199 worth for the higher ones. That's on top of the $35 a monthly charge for the lowest tier. The company does offer equipment credits, however, up to $300 for the three-year contract. You prefer somebody else set up the system: While some people embrace the idea of installing their own security system, others may just feel more at ease with a professional handling the job..
You'd prefer a lifetime warranty: Frontpoint offers a three-year equipment warranty. If you're planning on keeping your security system long term, a three-year warranty probably might not be long enough. Some security companies offer lifetime warranties on the equipment you buy. If you don't want a long contract, Frontpoint is for you. They have a one-year option, which limits your commitment. Frontpoint also has one of the best customer service in the industry, which is a big plus. However, Frontpoint isn't the cheapest. The one-year contract requires a minimum equipment purchase of $99, although the control panel alone, (a necessary component) already costs $239. Expect to pay more than $400 upfront, just to get started. For better savings, Frontpoint's three year plan offers a discount of up to $300 for equipment purchases. Still, as a first-time customer, expect to pay more than $150 when you first start out. If costs are an issue for you, you may want to consider Protect America instead, which can get you started on a basic security package for only $19.99. Lastly, keep in mind that all of Frontpoint's plans are for wireless connections only. If you prefer a landline connection, look at Protect America's plans instead. When you're buying a home security system, there are two separate cost considerations to keep in mind. The first is the monthly monitoring service. Frontpoint offers three-tiered system. Protection Plan, $34.99/mo. : The Protection Plan is the most basic option. You'll get a 100% wireless system and cellular monitoring, as well as round-the-clock service for intrusion, fire, carbon monoxide leaks, and water damage. Frontpoint also alerts local authorities if you need emergency medical assistance. Interactive Plan, $44.99/mo. : The Interactive Plan offers the same features PLUS you get email and text alerts, remote access and control with the mobile app, lighting control, geo location services that integrate with your cell phone, and Crash and Smash Protection. Tip: Geo location services through your smartphone allow you to set up custom features notifications when you forgot to arm your alarm system when leaving home. It's a useful feature for busy families who want to stay protected. Ultimate Plan, $49.99/mo. : The Ultimate Plan combines all the benefits of the first two tiers and adds live video streaming, automated door locks, HD and night vision capabilities, motion-activated video recording and energy management controls. Please NOTE that while the plans support certain monitoring capabilities, you would have to purchase the appropriate equipment. All three plans come with one base controller and two door or window sensors. But you'll likely need more. Equipment such as glass break sensors, flood sensors, and security cameras are available at an additional cost. Frontpoint doesn't charge installation or shipping fees, but when all is said and done, you will have spent hundreds on equipment (typically around $300 just for the equipment). The minimum equipment fee for the Protection Plan is $99. For the Interactive and Ultimate Plans, it increases to $199. They do counter some of the expense by offering discounts based on credit approval and contract length. For instance, if you sign up for a three-year contract, you'll get a $300 discount toward the cost of equipment. Frontpoint requires you to choose and buy the equipment. At minimum, you'll need a standard control panel and door/window sensors for each entry points. For a more complete system, consider getting motion detectors, smoke detectors, and maybe even a HD camera for video surveillance. Here's a rundown of Frontpoint's security equipment. Security camera: Want video surveillance integrated with your alarm system? Choose from three different cameras with your Frontpoint system: wireless indoor, wireless outdoor, and pan-and-tilt. The wireless cameras offer a stationary view, but the pan-and-tilt camera gives you the ability to view a larger area or zoom in on a specific part of your home. 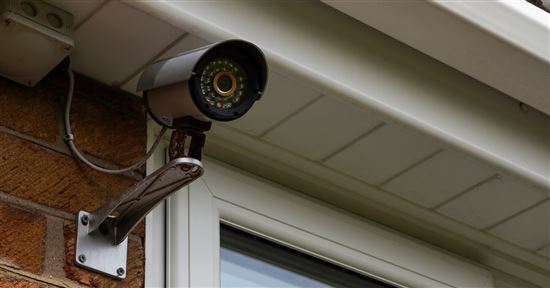 Tip: With the Ultimate Plan, you can mix-and-match up to 4 video surveillance cameras. Control panel: The command center for your home security system comes with the standard keypad digital panel (Simon XT). If you're a technophile, you have the option of upgrading to the fancy touch screen panel (Qolsys IQ panel). Both panels feature cellular operation and Crash and Smash protection. In the event of a power outage, both also have an emergency backup battery. Even if burglars cut your power, the Simon XT digital panel or Qolsys IQ touchscreen panel will still function. Tip: If your kids don't have cell phones but you want them to be able to arm/disarm the system, consider buying a keychain remote. It's a convenient way to arm and disarm the house and includes an emergency panic button. Motion sensor: Motion detectors alert you when someone is in your home when you're out. Frontpoint uses wireless sensors that connect easily to the control panel without time-consuming wiring and drilling. Tip: Motion sensors are useful in securing large areas. Frontpoint motion detectors are pet-friendly but experiment with placement to minimize the risk of false alarms. Image sensor: Image sensors are a step up from motion sensors. They combine a motion detector with a camera that captures a still photo of the event. You can check out the image on your cell phone. Z-wave: We've already touched on Z-wave communication. Essentially, this turns your house into a smart home. Imagine being able to unlock the front door, turn on the living room lights and change the temperature from the convenience of your smart phone. Glass break sensor: While some thieves target the front door, others prefer to break in through a window. Frontpoint's glass break sensors detect the sound of glass breaking and issue an alert. You'll know instantly if your home has been broken into. Door sensor: The wireless door sensor is a two-piece unit that alerts the control panel when a door is opened. They can also be used on windows in conjunction with the glass break or motion sensors. (You can get a separate sensor for your garage door as well.) The door and window sensors are powered by a tiny battery that last for years. Tip: You can configure the app to push instant alerts to your smartphone when sensors are triggered, even if the security system is not armed. For instance, you might want to be notified whenever your kids open the back door. Yard sign: Frontpoint customers receive one 10-inch x 10-inch weather-resistant yard sign and smaller window decals to deter thieves. Additional signs are available for $3.99 each. Let's break down some of the key terms. Central Station: A central station or monitoring station is the team of people dedicated to monitoring your alarm system. When an alarm is triggered (e.g by a burglar or fire), the system alerts Frontpoint's monitoring center. A monitoring officer will then call you to verify the situation. If you're not at home, or didn't pick up, they'll immediately contact the authorities to respond to the emergency. Frontpoint partners with Rapid Response Monitoring, a highly accredited monitoring company in the U.S.
Cellular Monitoring: Cellular or wireless monitoring refers to the way your alarm system communicates with the central station. In this case, the signal is sent via cellular connection, as opposed to the more traditional landline/cable connection. Cellular monitoring means burglars won't be able to disable your security system simply by cutting/unplugging your phone line. This makes it more secure than landline monitoring. Crash and Smash technology: Sophisticated burglars will sometimes break into a home and immediately destroy a security system's control panel before it can signal a monitoring center. With Frontpoint's system, a 'special' status is triggered the moment a door is opened. If the system is disarmed, nothing happens. Otherwise, as in the case of an intruder, the system begins its normal activation process to the monitoring station. Interactive Security system: On Frontpoint's Interactive or Ultimate plan, you'll get access to the Alarm.com mobile app, which functions just like the control panel. You can remotely arm or disarm your security system, view recent activity, get email and text alerts, and even add video surveillance which can be viewed from your mobile phone. Program a light to turn on or off, in conjunction with an alarm event. Program a light to turn on or off, in conjunction with your alarm system being armed or disarmed. Program a light to turn on or off, in conjunction with a door opening or closing - based on time of day. This makes home automation more than just remote control of your lights - it also makes it a functional feature of your home security system. Frontpoint can be paired with Amazon's Alexa. If you have an Echo speaker, you can use voice commands to activate Frontpoint. Geofencing: Frontpoint's systems allow you to establish a "geo-fence", which is an invisible ring around a designated location. You can program it to activate settings automatically whenever you (or your smartphone) enter or exit this geo-fence. For example, you could set a geo-fence to remind you to arm the system whenever it senses you leaving the area. You can have another geo-fence around your workplace to automatically set the temperature of your home thermostat when you arrive at work. Geo-fences can have multiple users, with each individual's personal settings. Receive notification alerts when someone enters or leaves your home. iPhone: Download Frontpoint app from the App Store. Android: Download Frontpoint app from Google Play. Frontpoint's equipment is easy to install. Below, we provide a brief guide installation of the control panel, door/window sensors, and motion sensor. After receiving your Frontpoint package, make sure you have all the equipment you ordered. This should include a standard control panel, and door/window sensors. Next, you'll need to activate the setup wizard app, which assists with the installation process. The package will include a setup card with a unique code. Enter this code in the app, which you can access from a smartphone or tablet at Frontpoint.com/setup. This will guide you through the process. Install the control panel first. Place it in a central location, and plug it into the power source. Then, let the setup wizard app search for the control panel so you can connect it to your wireless network. The wizard app will then tell you to install the door/window sensors. You'll have to name the sensor first. Choose the name based on its location, like "Front door." Then you can physically install the sensor. First, wipe the surface free of dust so the adhesive will hold. Make sure it's dry before peeling the stickers off each part then sticking itnto the surface. Hold it in place for 60 seconds. It's just that easy. Now you can install the motion sensor. Again, name the sensor by location when prompted by the wizard app. It should be high enough to avoid being by objects in the room, but low enough to capture as much of the room as possible. Clean the surface, peel the stickers, and hold it in place for 60 seconds. The wizard app will then detect your sensor. Once it does, you're done. After you've installed all the sensors, the setup wizard will tell you to activate the system. To Simply set your customer portal and app password, then hit next. Congratulations, your system is now active! Call Frontpoint's customer service center if you have any problems. Customer service is available from 8 a.m. to 11 p.m. ET Monday through Friday, and 10 a.m. to 6 p.m. ET on weekends. Overall, Frontpoint's customer service tends to get high marks across the board in terms of knowledgeable and helpful representatives. On Glassdoor, a site where employees and former employees anonymously review their employers, most employees would recommend Frontpoint to a friend. Frontpoint appears to value a good work-life balance, something we would surely appreciate in the event we call in for help. Recent five stars reviews on Yelp praise Frontpoint as a "great monitoring service" that doesn't harass customers with sales calls to upgrade their systems. Another reviewer praised the live camera feed and mobile control, saying "I've had Frontpoint for over a year and I'm LOVING every minute of it!" A customer of four years said the system is "easy to install and has great customer service." While reviews of Frontpoint are generally positive, we did find a few unsatisfied customers on Yelp. A number of users reported problems with defective or faulty equipment. Others ran into issues related to billing or customer service. It's worth noting that a Frontpoint representative contacted each unhappy Yelp user for follow-up using the site. However, the number of issues that were later resolved is unclear. We also took a look at Frontpoint's record with the Better Business Bureau. 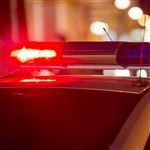 Of the 96 complaints registered, 49 involved an issue with equipment or monitoring services, while 31 centered on billing and collection issues. Ten other complaints were listed for = sales and advertising strategies and a few about delivery experience and warranty issues. The three-year contract seems to be a consistent gripe. Remember: the contract begins deal begins AS SOON AS the 30-day trial period ends, If you're not unsure about sticking with Frontpoint, pay close attention to the trial period expiration date to avoid locked down long term. In more than one instance, customers reported paying a hefty cancellation fee for terminating their contract early (beyond the 30-day trial period, but before the three years term ended). Here's how Frontpoint stacks up compared to other top home security companies. ADT, a household name in the home security business, shares some things in common with Frontpoint. For instance, you can receive email and text alerts, get remote access and control over the system, and use industry standard Z-wave technology. Some features, life safety monitoring, environmental monitoring, and heat monitoring aren't included. Professional installation is required. The fee is usually $99 for the standard package and $199 or more for ADT Pulse, a complete home automation system. ADT currently offers an $850 equipment package for free when you sign up for a security plan. A three-year contract is required. If committing to a lengthy contract is a concern, SimpliSafe requires no long term deal. Choose from five packages, from the Economy deal priced at $229.96 up to the Ultimate package at $539.85. All packages include the equipment you need to get started. You'll get 60 days to try it out and get your money back if you're not satisfied. Installation is DIY. The system uses cellular and wireless technology. You can monitor it system remotely from the SimpliSafe app and set up alerts. However, video streaming and camera monitoring aren't available options. Similar to Frontpoint, SimpliSafe only offers a three-year warranty on equipment. Monday to Friday from 8am to 11pm Eastern. Saturday and Sunday from 10am to 6pm Eastern. 24/7 Monitoring. 9am to 6pm Eastern, 7 days a week. 24/7 Monitoring. Alarm.com mobile app SimpliSafe Home Security app allows you to arm/disarm remotely and monitor sensor status. Requires Interactive monitoring subscription plan and SimpliSafe2 system. If you want to save on equipment costs, take a look at Protect America. They offer up to $1,400 in free equipment with a three year contract. If you want the latest in technology with professional installation, take a look at Vivint. If you want the flexibility to cancel anytime without a contract, take a look at LiveWatch. Plans start from $34.99/month to $49.99/month. All plans offer 100% wireless and cellular system with 24/7 professional monitoring. $49.99 Ultimate Plan supports video streaming, automated door locks, and advanced thermostat control. Plans start from $19.95/month to $49.95/month. All plans include 24/7 monitoring. Monday to Friday from 8am to 11pm Eastern. Saturday and Sunday from 10am to 6pm Eastern. 24/7 Monitoring. Monday through Friday from 7am to 9pm Central. Saturday from 8am to 5pm Central. 24/7 monitoring. Alarm.com mobile app LiveWatch app (requires LiveWatch Interactive services) allows you to arm and disarm your home security system remotely, view sensor activities (up to 10 sensors), get notifications on system events and pending alarms, and view video from cameras (if applicable). App is available for iPhone, Blackberry and Android. Frontpoint rates consistently as one of the best home security systems. They offer great customer service and all-inclusive high-quality monitoring at an affordable price. There are some downsides, however. The three-year commitment may be too long for some homeowners. The upfront equipment cost combined with the monthly charge can also feel a bit steep. Above all, make sure you're comfortable with a long-term commitment BEFORE your 30-day trial period ends. Leave a comment about Frontpoint Review: Top Security, What's the Catch?